Scallops....if you ask me to eat one, I'll turn green and my stomach will get churlish. If you ask me to wear them, I'll gladly jump with glee. 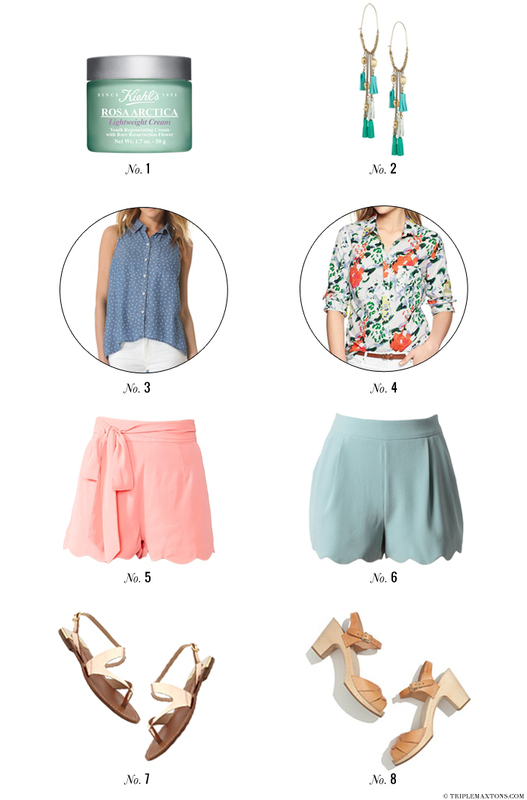 I especially am loving scalloped-edge shorts (especially ones that are easy on the wallet like the pair above!). It's a very feminine detail without delving into saccharine sweet territory. Pair them with an unfussy top, comfortable sandals and BOOM - you've got a perfect spring outfit at your fingertips. I love those pretty mint-green shorts!